THE LEGO Batman movie looks like it could be the best Batman movie to be released in 25 years. It is extremely disappointing that the Australasian release date has been pushed back to the end of March: forty eight days behind much of the rest of the world. On top of this, Village Roadshow, one of the film’s production partners and distributer in Australia, have won an injunction in the Australian Federal Court to require all Aussie internet service providers to block the Pirate Bay and a number of other torrent/ movie streaming sites of dubious legitimacy by the end of January 2017. Just in time to prevent early pirated copies of The LEGO Batman movie from being illegally downloaded by enthusiastic people, desperate to see the new film before all the spoilers spill into the internet over the next FORTYEIGHT days before the Australasian release! In 2014 at a forum on Digital Piracy,the Co-CEO of Village Roadshow Graham Burke, spoke of the mistake made when The LEGO Movie was released after a two month wait, costing Village Roadshow around five million dollars. He spoke of a desire to bring Australian release dates in line with US release dates and that it was not right to delay release of this Australian produced film ( animated at Animal Logic in Sydney) in Australia. Animal Logic are also responsible for Animating the LEGO Batman Movie. This does not appear to be a concern on this occasion however! This court decision is staunchly defending the rights of the distributors and content creators. I have no issue with this. However, I wonder if they will be able to get an injunction to block online spoilers from reaching Australia? 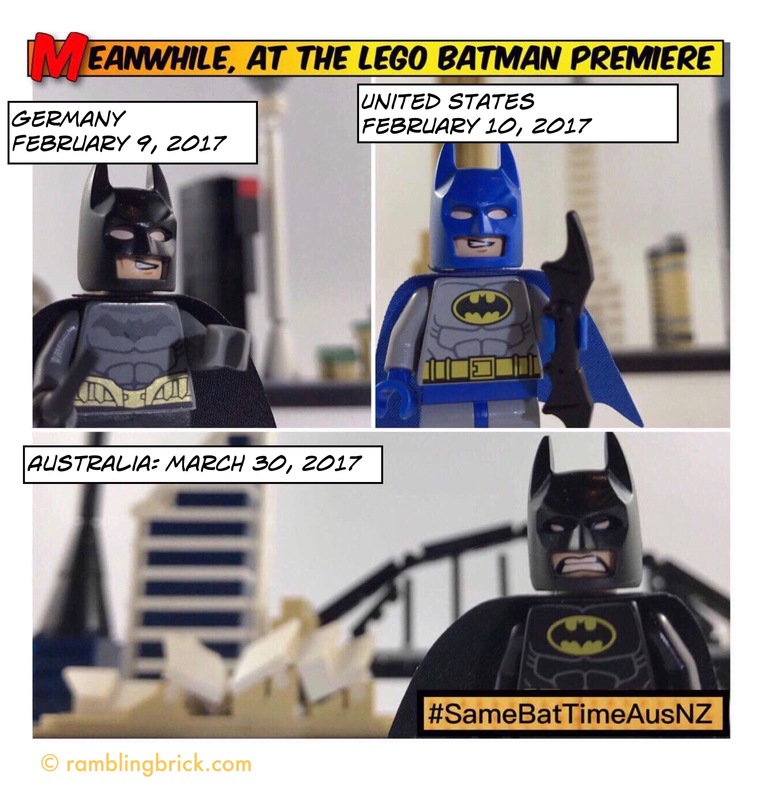 A number of the Australian LEGO blogs and Instagrammers have launched #SameBatTimeAusNZ as a social media tag to raise awareness and pressure Village Roadshow into reducing the delay between International and the Australian release dates. Tag your social media posts… post images… be civil. #SameBatTimeAusNZ is not about piracy. It is about globalised distribution, the opportunity to enjoy the film before online spoilers flood the online environment and corporate honesty. 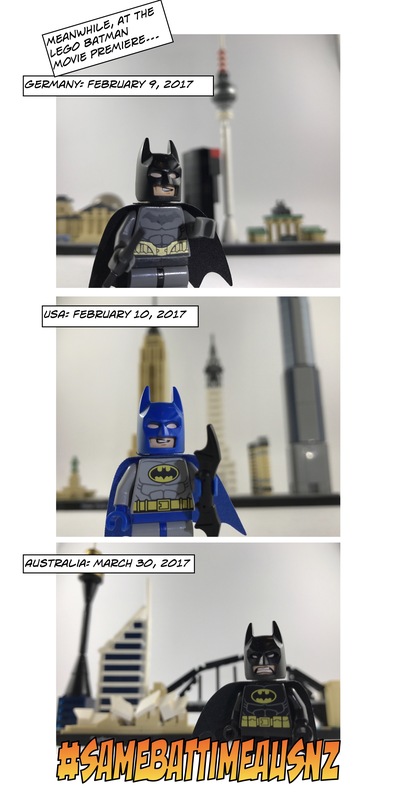 Let Village Roadshow know that we are unimpressed with the decision to delay the release of The LEGO Batman movie for 48 days after the international release.